CBS executives discussed career opportunities in the television industry with Point Park University students during on-campus workshops this semester. Tiffany Smith-Anoa'i, executive vice president of diversity, inclusion and communications, and Fern Orenstein, senior vice president of casting, presented "Student of the Business" to cinema arts majors, followed by a casting workshop for theatre and cinema majors. 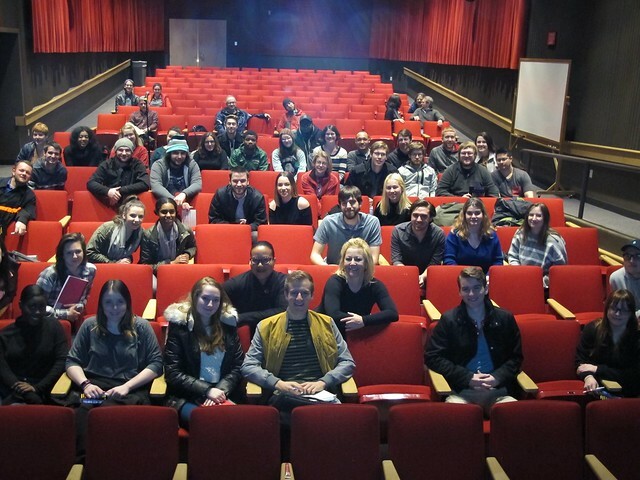 "Fern and Tiffany had so many practical lessons for our students regarding becoming students of the industry and how to apply themselves to make their dreams come true," said Rick Hawkins, artist in residence in the cinema arts department. "One of the most interesting ideas they shared was that diversity wasn't solely focused on having racial inclusion in a cast, but of developing 'diversity of mind' when being creative." Be consistent with your resume, headshot, materials, etc. "The description of headshots - make sure it looks like you and what you're most likely to be cast as - is what we teach, but it's helpful for students to hear the same information from multiple sources," said Robin Walsh, associate professor and head of acting. "Also, the advice to not take things personally, to realize how many variables there are in play, was terrific." "Having this opportunity shows Point Park's dedication to preparing students for their careers," said Daymon Long, a senior cinema production major from Northern Lebanon High School in Fredericksburg, Pa. "I chose to attend Point Park because it was close to my hometown, but I've stayed here because I recognize how well-equipped cinema majors are when they graduate." "I am glad to have had the opportunity to attend a presentation like this and get the perspective of casting directors from a major network. They offered a lot of good advice," said Lisa Naso, a junior acting major from Northport High School in Northport, N.Y. "They encouraged us to create the work we want to perform and take advantage of getting seen by an audience online." "A key message I took away from the presentation is that there are so many opportunities out there, and it's just as simple as reaching out and knowing the right person," said Zachary Brown, a junior cinema production major from Galeton Area High School in Galeton, Pa. "With initiative and determination, you can go anywhere." "It was remarkable to learn so much more about the nature of the casting business," said Jackeline Gonzalez, a senior acting major from John A. Ferguson High School in Miami, Fla. "The key message I took away was that it's best to think of your headshot as a role/performance instead of just a photograph."